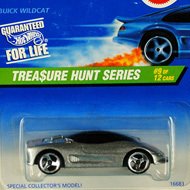 8/12 from the 1997 Treasure Hunt series. 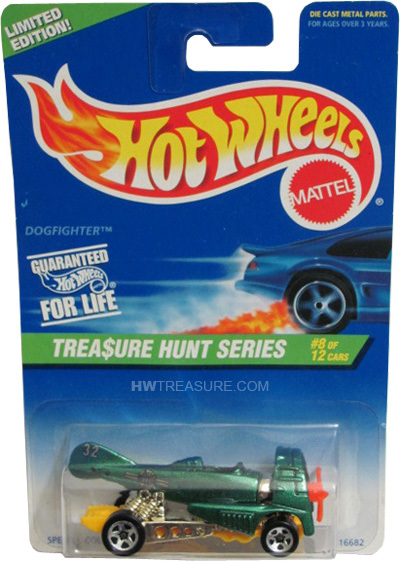 The Dogfighter has green metalflake paint with grey and black graphics and the Hot Wheels on the sides. 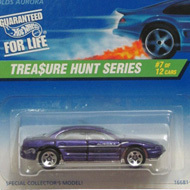 It has an orange propeller, gold engine, 5-spoke wheels, and a yellow plastic Malaysia base.